There were almost 1500 answers to the question “You Know You’re an Event Planner When…. ?” when it was posed to a network of event planners. The responses made us laugh but mostly because experience is a hard teacher and often being an event planner has nothing to do with the glamorous image portrayed in movies like “The Wedding Planner” and more to do with shows like “World’s Dirtiest Jobs” but when you love it, you just LOVE it. Now, anyone who knows the Premier Event Connection crew knows we love to laugh so we couldn’t help but come up with our own “been there, done that, no it’s really true” humorous experiences of being an Event Planner. So with that in mind, the Premier Event Connection team is busily compiling our experiences and we will be posted them here on our blog one at a time. We hope you enjoy a humorous look into our lives. …..you are sitting in your living room at 3:30 pm on a Friday surrounded by hundreds of plastic Easter eggs that need to be stuffed and hidden by 8:00 am the next morning. Imagine if you will, bags upon bags of small toys, rolls of stickers and so much wrapped candy your teeth ache just from looking at it all. Now imagine hundreds of multiple colored plastic eggs. 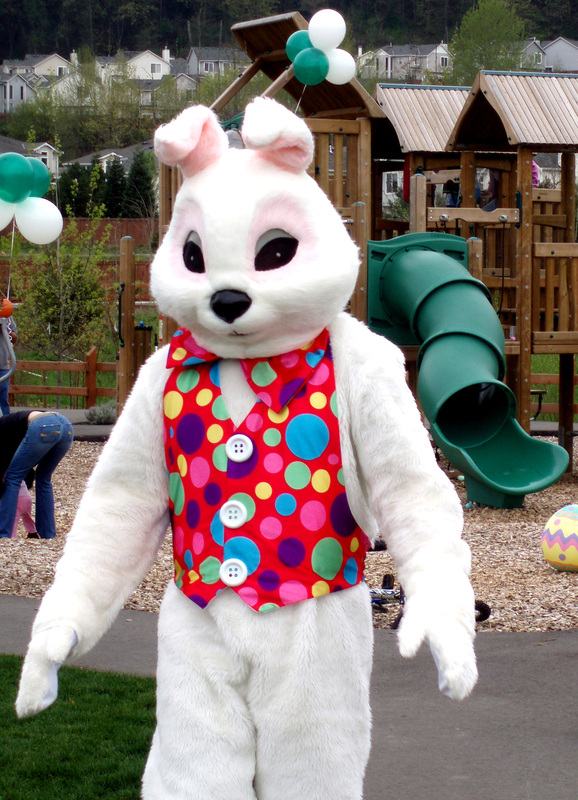 Your mission….. to fill those hundreds of eggs, separate them into three different bins and get them to the assigned on site event planner for each location that the Easter Egg hunt is being held so they can get them hidden by 8:00 am the next morning. Literally every inch of carpet and open space in our living room was covered with the eggs and all their fillings. There was so much stuff that there wasn’t hardly a place for us to sit and put them together. And of course, we had to develop a process for stuffing the eggs because we had to make sure that each egg got an equal amount of candy and toys. Simple right? Step 1: count the number of empty eggs you have. Step 2: count the number of pieces of candy you have. Step 3: count the number of toys you have. Step 4: count the number of stickers you have. Step 4: divide the number of candy, toys and stickers by the number of eggs and get a number of items to put in each egg. Step 4: stuff the eggs. Step 5: Divide stuffed eggs equally into three rubber tubs. Step 6: deliver the rubber tubs to the three planners who are going to be the on site contact at three different locations for each Easter Egg hunt. Easy – except when you are looking at mounds of supplies to count and put together when there are only two of you to make it all happen. However, the crew at Premier Event Connection isn’t one to look at a daunting task and give up. Instead we settled in and got the ball rolling. That being said, we aren’t above a little recruitment either. One by one as different family members made it home they got pulled into the “stuff the eggs” party. Never mind that we had to keep the kids from eating the candy or playing with the toys, help was help. Several hours later we had completed the project and had two different piles – one was all the trash and one was the mound of eggs. A quick division of the eggs into their perspective rubber tubs and a thrown together label of masking tape and black marker with location of their destination printed on it and all that was left was to deliver the eggs to the appropriate event planner. Funny how when you watch a small child’s eyes light up from finding an Easter Egg you forget the hours of work it took to create that one perfect moment for them. I guess that is the reason we do this….because child or adult, that look of enjoyment on someone’s face when you have provided a “perfect moment” is what keeps you going as an Event Planner, especially when you find yourself doing things in limited time frames that you never imagined yourself doing. I recently read an infographic posted on eventmanagersblog.com called “You know You’re an Event Planner when…” and as they so succinctly put it, there were 1425 answers to the question when posed to event planners. The responses made us laugh but mostly because experience is a hard teacher and often being an event planner has nothing to do with the glamorous image portrayed in movies like “The Wedding Planner” and more to do with shows like “World’s Dirtiest Jobs” but when you love it, you just LOVE it. Gather together a group of Bridal Coordinators, Event Planners, Event Coordinators, Project Managers, Party Planners (and the list goes on) together and before long you will start to hear stories about the everyday life of a planner. Now, anyone who knows the Premier Event Connection crew knows we love to laugh so we couldn’t help but come up with our own “been there, done that, no it’s really true” humorous experiences of being an Event Planner. So with that in mind, the Premier Event Connection team is busily compiling our experiences and we will be posted them here on our blog one at a time. We hope you enjoy a humorous look into our lives. 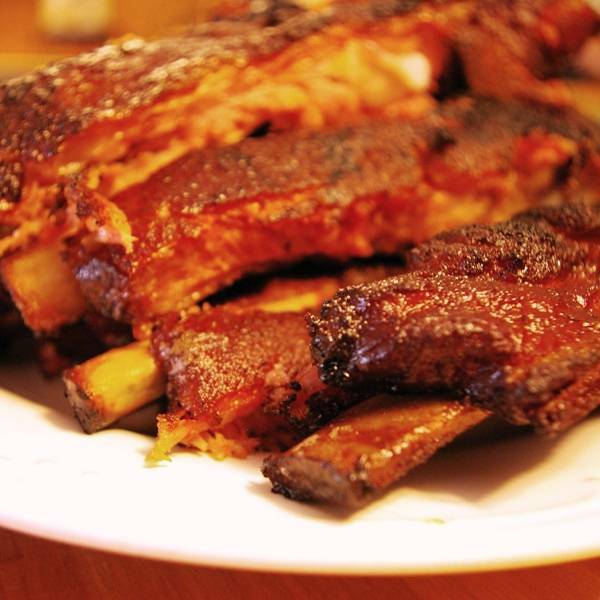 You Know You’re an Event Planner When…..
…..your caterer shows up to feed 2500 people with only 300 cooked ribs and the rest are frozen rock solid because they thought they would have plenty of time to let them defrost and “cook them on site”. Of course the fact that you have 2200 people standing in the hot sun, waiting for food that will take hours to cook never really calculated into their plans. To make matters worse some of the brave few have decided to forego the meat and just eat heaping plates of the side dishes so the next thing you know you are literally running out of everything all because your caterer didn’t think their process through. At Premier Event Connection we lovingly call this day “Black Friday” and all those involved with the company that day can laugh over it now but the reality was a far different story. The resolution of this challenging day was a call to the office to put out an “All Hands on Deck!” Every single person in the office was on the phones frantically calling taxi cab companies and every KFC in the greater Seattle area. We ordered all the fried chicken they had currently made, all their mashed potatoes, gravy and coleslaw. Then we had the taxi cabs running all over the city picking up the orders and delivering them to the park where our event was taking place. How did we avoid being trampled beneath the feet of 2200 angry, hungry people? We walked the waiting line of people passing out cups of ice-cold beer. Everyone was much happier waiting in the hot sun with a nice cold beer in their hand. We had a lot of “fires” to put out that day but each one was handled and at the end of the day everyone had a good time and our client walked away satisfied with the event. Needless to say….we double , triple, and quadruple check catering details now because you just never know when some little detail that seems so reasonable to someone else could make or break your entire event. At PEC we try to work with our vendors and identify what it is they do, what they do well, and encourage them NOT to go outside their scope to try to please random requests. For example, if a catering vendor does not cook Japanese food….don’t ask them to cook Japanese food. You will be left with a lack luster product, an un-satisfied client, and a hostile vendor! Never a good combo! That said sometimes we (the PEC team) seem to forget this general guideline and ultimately end up re-learning a lesson that we thought we had mastered! A couple of years ago we had an event coming up that wanted to do some cool lounge furniture and create this swanky lounge. Typically we would hire this out and manage the details. However, during this particular event we had a very good vendor that was hosting a fund-raiser and also thought it would be cool to have a lounge at their event. That’s when we had a brilliant idea! What if instead of renting the furniture from our normal vendor we purchased a bunch of furniture from Ikea, used it for our big event and then donated it to our vendor’s event? We would donate our time and set everything up for the fundraiser…it would be perfect! All of the furniture arrived on time at our warehouse but as you know required assembly. We put all of the furniture together at our warehouse. We allotted three hours; it took many, many, many more than that! We were dirty, disheveled, sporting box cuts, hungry and laughing about our recent endeavor. Overall we were still in good spirits and were quite pleased with our purchases. The fundraiser came and went and was a great success! It looked beautiful and we were happy to have been able to help. However, we were a bit shocked at how much work it was to load up the furniture into the U Haul, schlep it to the event, unwrap it, set it up, re-wrap it, re-box it, re-load it, and schlep it back to the warehouse for the second time. But hey, all in the name of charity right? Now we just had to do it one more time for the big event. Imagine our shock when a few days later we heard from our client that they wanted to cut out the lounge and would not be renting furniture….days before the event. Uh oh! We did not see that one coming! Now we had a few thousand dollars’ worth of furniture in our warehouse…assembled! At this point it was a scramble to find out what we could return. We made arrangements for pick up and back to the warehouse we went for dis assembly! We had to take all of the furniture apart and re package it for return. Thankfully we had some great plastic wrap from Home Depot, unfortunately for some unknown reason there was a freak pile of sawdust outside of our warehouse. There are a couple hundred warehouses in the complex yet for some reason on that day there was sawdust in front of ours…just ours! The wind kept kicking up and it would stick to the cling wrap. It was a NIGHTMARE! Ikea would not pick it up at the warehouse so we had to haul it to my house for pick up. We secured another U Haul and loaded up the furniture for the fifth time. However, this U Haul, for some reason was much larger than the previous U Hauls, and was missing the side mirrors on the right hand side….not to mention that neither of us on staff that day had ever driven anything larger than an SUV! Here we are dirty, hostile, cursing the project and heading down the boulevard. I have my head hanging out the window trying to see if we can move over while still keeping the truck in my lane and avoiding rear ending the vehicle in front of me. We finally decide it will be best to stay in the right hand lane and travel a path that only requires right hand turns. (Really?! We weren’t even sure this was possible.) It’s at this point when we are laughing so hard at the hilarity of the situation that we sit back and ponder how we even got into this situation in the first place.